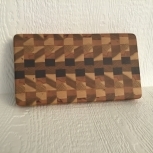 You are viewing a hardwood cutting board / cheese board made from American Black Walnut, Hard Maple, Cherry, Sycamore. 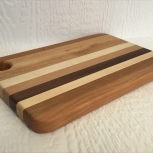 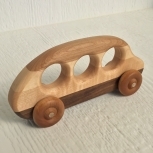 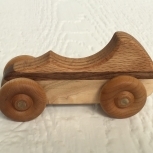 We handmake each board and are sanded and finished to a smooth silky touch. 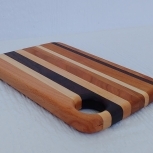 The edges are rounded and sports a small hole for use as a serving board or for hanging the board. 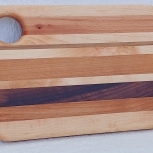 Both sides of the board are finished, so one side can be used for cutting and the other side for serving. 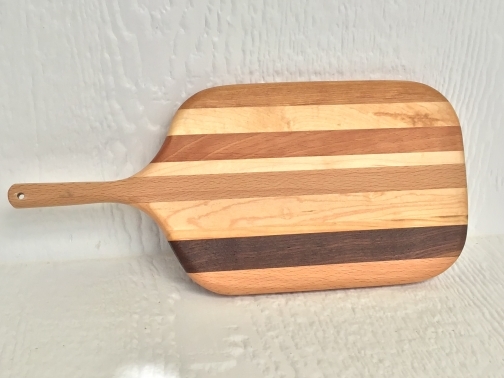 The handle makes for the perfect serving board.